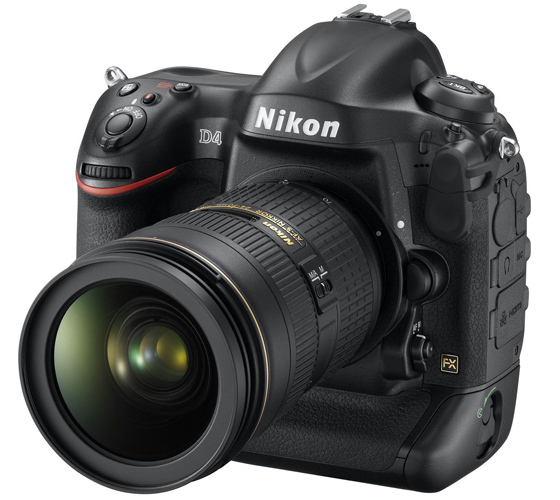 Nikon have this week announced the launch of their latest flagship digital-SLR camera, the Nikon D4. And it looks great. Equipped with a new Nikon FX-format 16.2-million pixels CMOS image sensor, Nikon say this pro-targeted shooter also packs more than 45 new or improved features from the already impressive D3s. These include the latest EXPEED 3 image processing engine which allows for shooting 11fps (making it the fastest Nikon DSLR) and a 91K-pixel RGB sensor for the more accurate Advanced Scene Recognition System. There's also a faster and more accurate AF with 51 focus points and compatibility with the new XQD memory card format, while the second slot take a CF card. On the video side of things there is full HD video recording available at 30p, 25p, 24p and slow motion 60p movies at 720p. And movies can now last up to 29 minutes 59 seconds. A spokesperson for Nikon said: "Nikon today announces the launch of the D4, its new flagship D-SLR for photographers who are looking for the ultimate digital SLR camera to revolutionize photography. "Designed to push the limits and realize every shooting opportunity, this new professional FX-format camera brings new levels of image quality, speed and precision to both still photography and video."